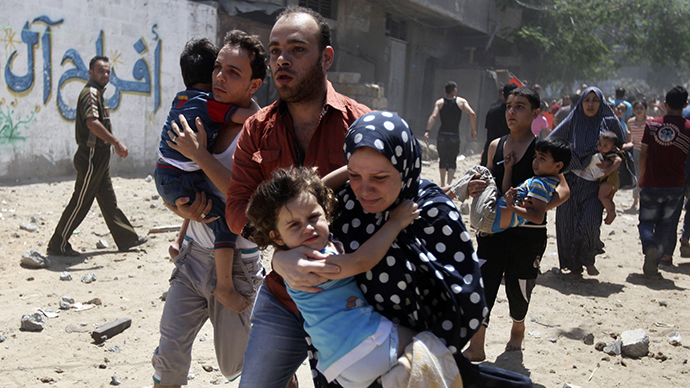 Thousands have fled northern Gaza after Israel warned residents to leave the area to avoid airstrikes. At least 167 people, mostly civilians, have already died as a result of Operation Protective Edge, which entered its sixth day on Sunday. Israel dropped leaflets in the northern Gaza Strip town of Beit Lahiya, located near the border with Israel, urging residents to leave the region by midday Sunday and warning of airstrikes on Hamas sites. At least 167 Palestinians – most of them civilians, including about 30 children – have died as a result of airstrikes since Israel's Operation Protective Edge began on Tuesday, Gaza's Health Ministry reported. More than 1,100 others have been injured. Israel will "strike with might" in the Beit Lahiya area late on Sunday, a senior Israeli military officer told reporters earlier on Sunday, Reuters reported. The officer did not specify whether the offensive will expand from airstrikes to the ground. 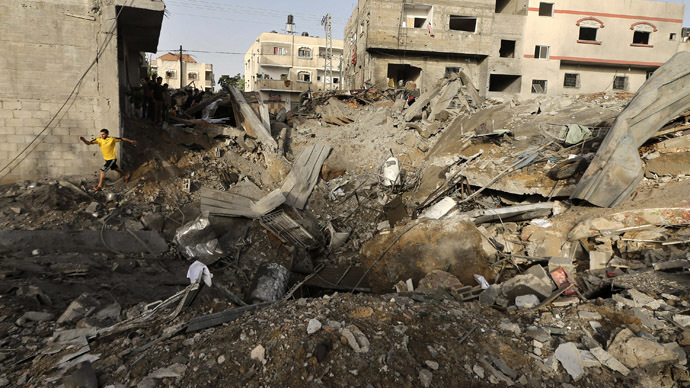 “The enemy [Hamas] has built rocket infrastructure in-between the houses [in Beit Lahiya]," the Israeli officer said. "[Hamas] wants to trap me into an attack and into hurting civilians." Over the past 24 hours, UNRWA has opened a number of its schools as emergency shelters for Internally Displaced Persons (IDPs), the organization said on its website. Five shelters have been open in Gaza since 8 a.m. local time, and 2,000 people have already sought refuge. 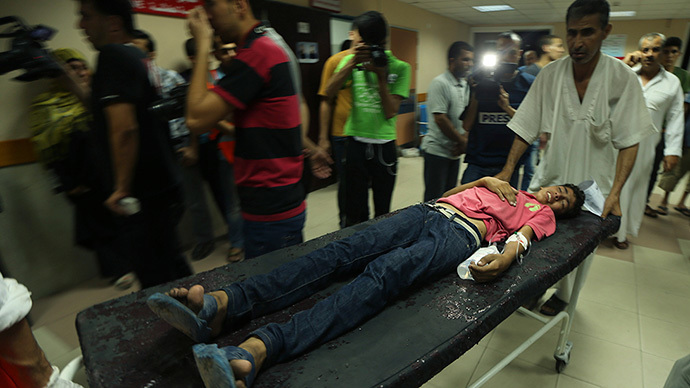 According to the organization, 45 Palestinians have been killed and 131 others injured over the past 24 hours. Meanwhile, Gaza's Interior Ministry dismissed Israel's warnings on Hamas radio, calling them “psychological warfare” and urging people to stay in their homes. This is the first time that Israel has dropped leaflets warming residents of upcoming airstrikes. 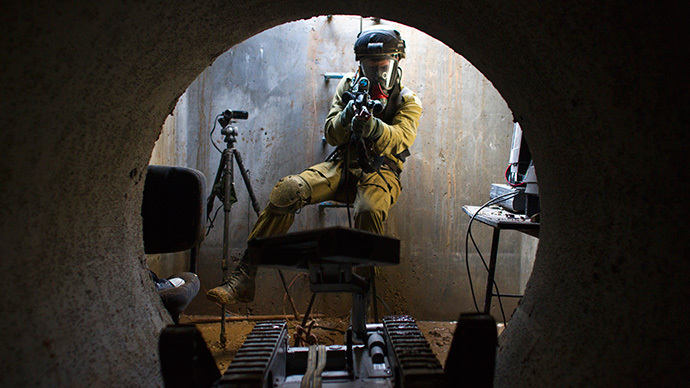 Previously, the IDF used a “knock on the roof” technique – a warning shot fired at a house so that occupants could leave the premises before the building was destroyed. According to Israel, more than 800 rockets have been fired by Hamas since the offensive began on Tuesday. 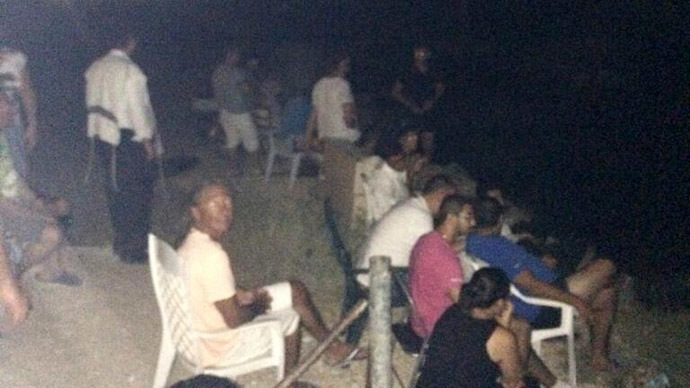 Most of them have been intercepted by the Iron Dome air defense system. No Israeli deaths have been reported. On Sunday, Israeli Prime Minister Benjamin Netanyahu rebuffed international calls for a ceasefire while defending his country's offensive in Gaza during appearances on US television. He urged Americans to imagine that their cities from the East Coast to Colorado were under the threat of rocket attack, with only 60 to 90 seconds to reach a bomb shelter. “That's what we're experiencing right now, as we speak,” he told CBS' 'Face the Nation' program. 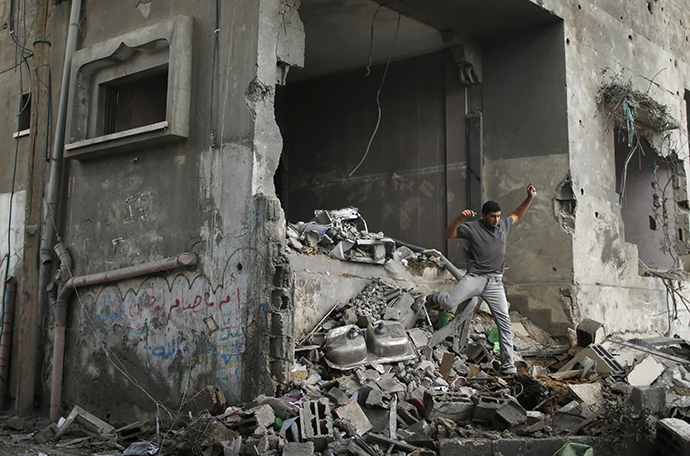 Netanyahu refused to discuss a ceasefire or give a timeline for Israel's operation in Gaza. When asked if a ground invasion was imminent, he said his country would use any means necessary to accomplish its goal of degrading Hamas' rocket-launching capability in order to restore security for Israeli civilians.